All about State Bank of India (SBI) Assistants (clerical cadre) Recruitment ✓ Notification ✓ Application Form ✓ Syllabus ✓ Admit Card ✓ Eligibility ✓ Question Papers ✓ Answer Key ✓ Exam Date ✓ Exam Pattern ✓ Cut-off Marks ✓ Preparation Tips for the post Assistants (clerical cadre) online examination will be held in Jan/Feb 2019. Recruitment Examination will be conducted online tentatively in Jan/Feb 2019 on various dates. Candidates are advised to regularly check Bank's website www.sbi.co.in or www.statebankofindia.com for details and updates. State Bank of India invites on-line applications from Indian citizens for appointment in following Assistants (clerical cadre) posts in State Bank Group. Candidates are requested to apply on-line through link given in “career with us” section of Bank’s website www.statebankofindia.com or www.sbi.co.in. Young graduates are recruited as Assistants (clerical cadre). The Bank is offering fast track growth opportunities as the Assistants are eligible for promotion on completion of 3 years' service. Applications are invited from eligible Indian Citizens for appointment in clerical cadre inAssociate Banks of StateBank of India. 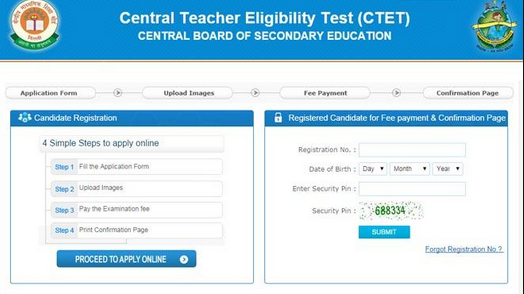 Candidates can apply for vacancies in one Bank and one State only and will have to appear for the test from an examination centre for that particular State. Candidates can appear for the test only once under this recruitment project. A Degree (Graduation level) from a recognised university, or any equivalent qualification recognised as such by the Central/State Government. Note: (a) The date of passing the eligibility examination will be the date appearing on the marksheet/ provisional certificate or the date on which the result was posted on the website of the university / institution. Candidate having integrated dual degree (IDD) certificate should ensure that the date of passing the IDD is on or before 01.12.2014. (b) Matriculate Ex-servicemen, who have obtained the Indian Army Special Certificate of Education or corresponding certificate in theNavy orAir Force, after having completed not less than 15 years of service in Armed Forces of the Union are also eligible for the post. Such certificates should be dated on or before 01.12.2014. (c) Should be able to write and speak English. (d) Knowledge of local languagewill be an added qualification. Minimum Age : 20 years ; Maximum Age : 28 years (as on 01.12.2019). Candidates born between 01.12.1987 and 01.12.1995 (both days inclusive) are only eligible to apply. PAY SCALE : 7200-400/3-8400-500/3-9900-600/4-12300-700/7-17200-1300/1-18500-800/1-19300 (underreview). Probation Period : Selected candidates will be governed by the terms and conditions of the Service Regulations of the Bank in force at the time of joining. The newly appointed assistants will be on probation for a Minimum period of 6 months. Before the probation period comes to an end, the performance of the newly recruited employees will be evaluated and the probation period of those employeeswhose performance fails tomeet Bank's expectation,may be extended. Final selection will be made on the basis of performance in the online test and interview taken together. Merely satisfying the eligibility norms does not entitle a candidate to be called for test or interview. The test will be online objective type, consisting of (i) General Awareness (ii) General English (iii)Quantitative Aptitude (iv)Reasoning Ability (v) Marketing Aptitude /Computer Knowledge.The questions in objective tests, except for the test of General English,will be bilingual i.e., English &Hindi. Each test will be of 40 marks.For these objective type tests of total 200 marks candidates will be given a composite time of 2 Hours 15 minutes. The passing marks in each of the tests will be decided by the Bank on the basis of the performance of all the competing candidates taken together in each test to a minimum required level. Candidates are also required to score a minimum percentage marks on aggregate (For SC/ST/OBC/PWD/XS candidates, 5% relaxation available thereon) for being considered for interview. Minimum percentage marks on aggregate will be decided by the bank. Interviews : Candidates qualified in the test will be placed according to their marks in descending order in respective categories. Depending upon the number of vacancies only certain number of candidates from amongst those who qualify by ranking high enough in the merit will be called for interview in the ratio of maximum 3 candidates for each vacancy. Candidates are required to score a minimum percentage marks (to be decided by the bank) in interview to be considered for final selection. 5% relaxation for SC/ST/ OBC/PWD/XS category will be available thereon. The knowledge of local languages will be tested in the interveiw. 10% weightage would be given out of total marks (35) for interview for possessing working knowledge of local language. Final selectionwill bemade on the basis of candidate's performance in the test and interview taken together. For detailed guidelines/ procedure on a) Application registration b) Payment of fees c) Photograph & signature scan & upload visit bank's website www.statebankofidia.com or www.sbi.co.in “CAREERS WITH US” Recruitment of Clerk Associate (Banking) in State Bank of India. Application fee and Intimation charge non-refundable for SC/ST/PWD Category is : ₹ 100/- (Intimation Charges only). Application fee and Intimation charge non-refundable for General & OBC is : ₹ 600/- (App. Fee including intimation charges). Fee once deposited will neither be refunded nor be adjusted against any future recruitment projects. The fee sent through Indian Postal Order, Bank Drafts, Cheques, Currency Notes etc. will not be accepted. Such applications will be treated as without fee and will be summarily rejected. Candidates also have an option to make online fee payment as detailed under item 12. The candidates should download their call letter and an 'acquaint yourself booklet' by entering his/her registration number and password/date of birth, after 07.01.2019 from the bank's website. NOHARD COPY OF THECALL LETTER/ACQUAINT YOURSELFBOOKLETWILLBE SENTBY POST.